Otters have been spotted in a local lake, Anton Lakes, today, Thursday 4th April. Test Valley Borough Council believe they have called Anton Lakes their home and plan on staying for a while. Otters have also been spotted at Lake Avon in Salisbury according to Salisbury and Villages. 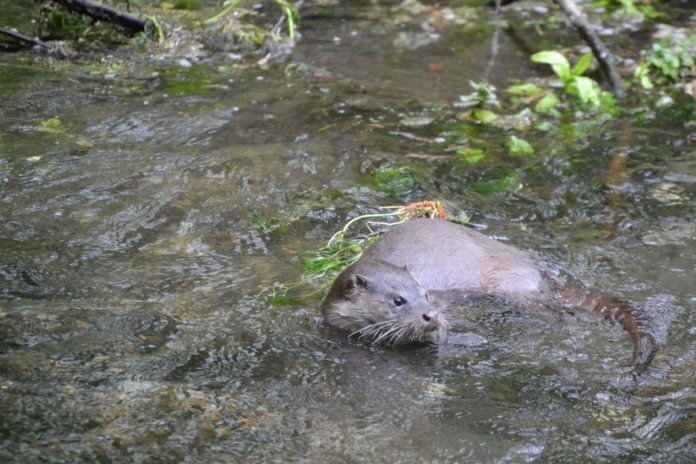 The Hampshire Wild Life Trust says: “The elusive otter is one of our top predators, feeding mainly on fish (particularly eels and salmonids), waterbirds, amphibians and crustaceans. Otters have their cubs in underground burrows, known as ‘holts’. Make sure to visit the lake to witness such a beautiful creature.